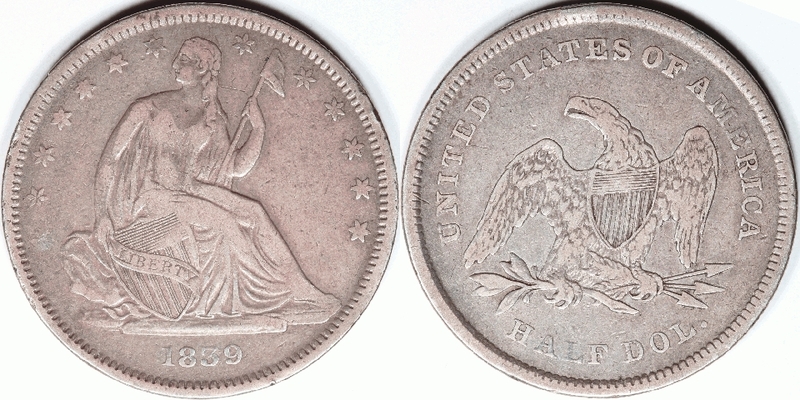 Seated Halves for sale - Rich Uhrich Rare U.S. 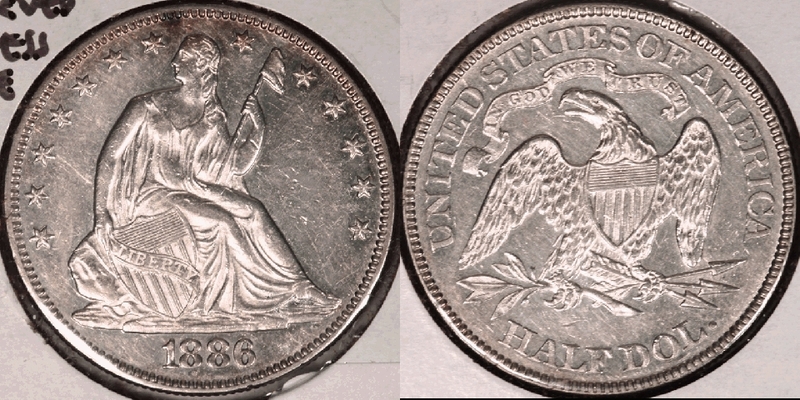 Coins Inc.
We have a nice 1842 Small Date in NGC MS-63, and a fabulous 1859 in PCGS PR-64 and an equally fabulous 1869 in PCGS PR-65, both of which have wonderful color on both sides! 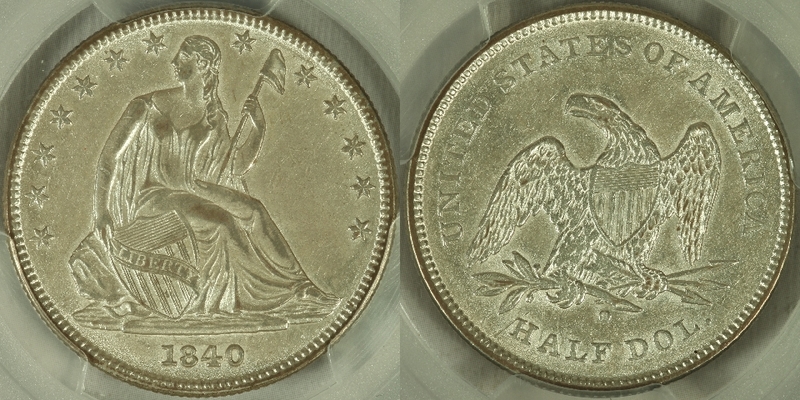 We also have an 1861-O Union-minted half, an 1861-O WB-102 early die state before the die crack, an 1861-O WB-103 in PCGS VF-35, an 1875-S Micro s in PCGS VF-25, plus an 1886 Proof-55 and an 1891 in AU-58. 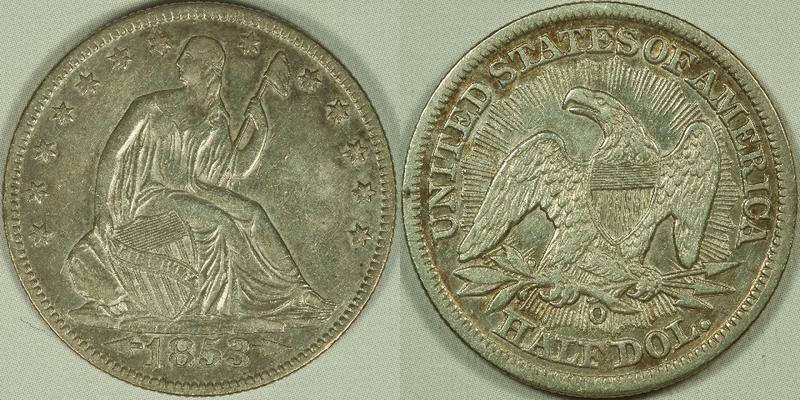 Another example of the tough to find 1839 No Drapery. Was $1,150. a very difficult variety to find, and usually found in low grade. Was $175. WB-6 variety, with repunched 18 and a nice internal cud in the reverse shield. Was $225. 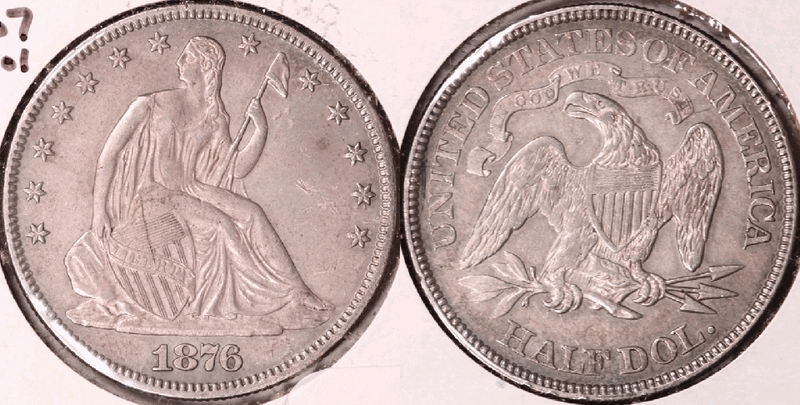 Date has been altered from 1860-S, to make a fantasy coin, as the San Francisco Mint was not opened until 1854. 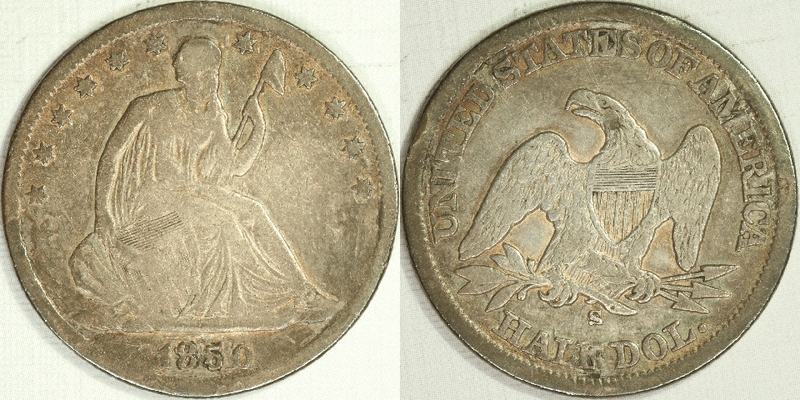 Alteration isn't the best quality, but this is the first 1850-S half I have seen. 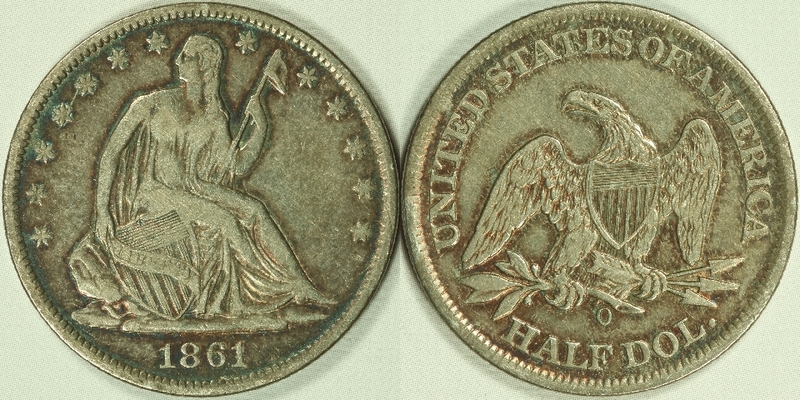 A partial date is visible at the top of the reverse side of the coin. Was $275. original look except for some rubbing in r. obv. field. Was $120. 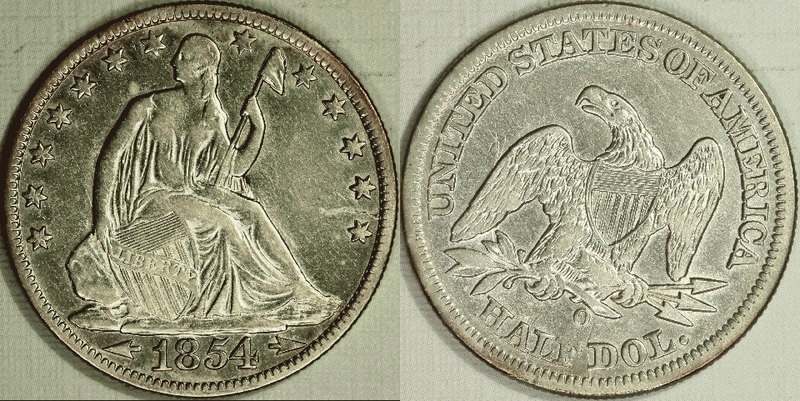 1861-O Union minted, AU, lt. clnd. Clearly a W-1A as it has the tine on the first 1 in the date, and the lapped feathers in the left facing wing. 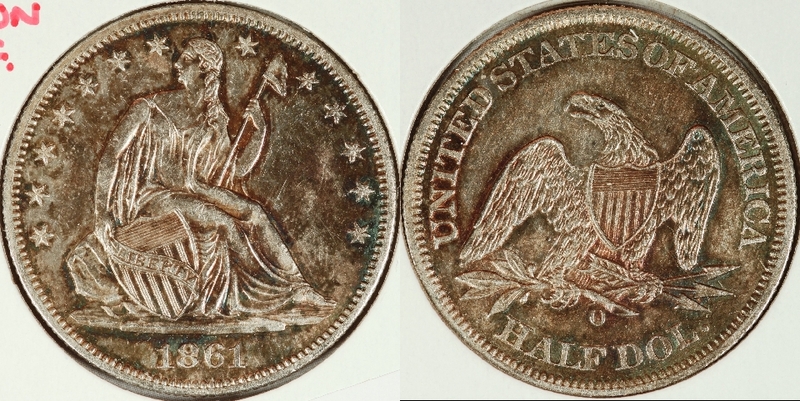 Coin is a bit more colorful than the mostly brown picture. 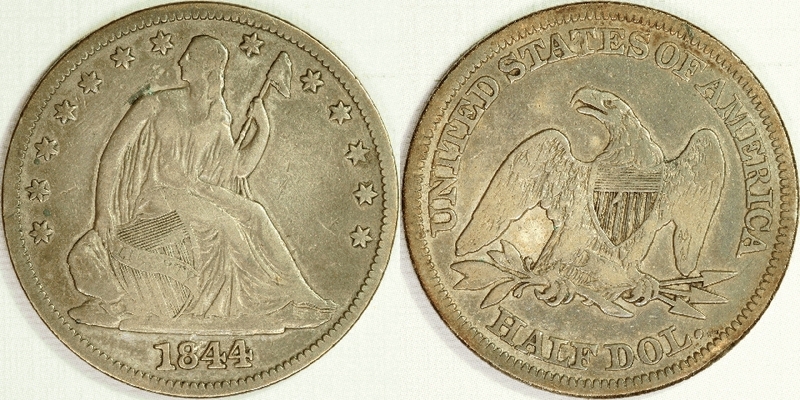 slight reverse rim filing above "UN". 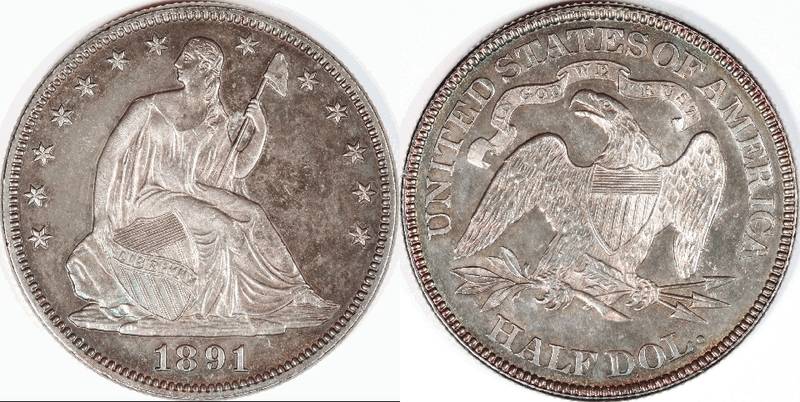 A circulated proof that would fit well into an AU set. Was $875. 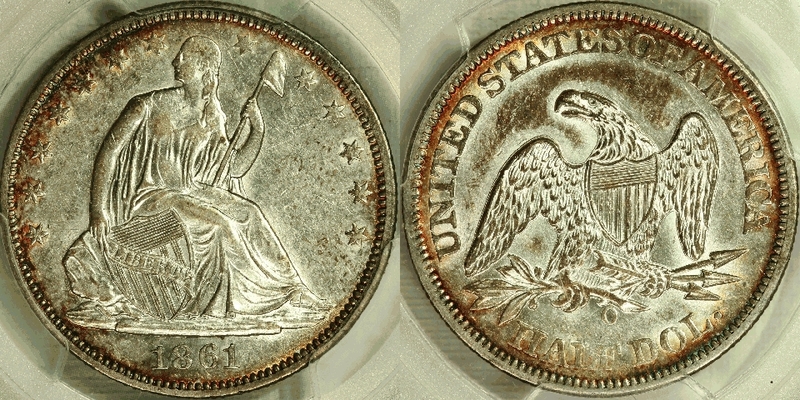 Very attractive toning.